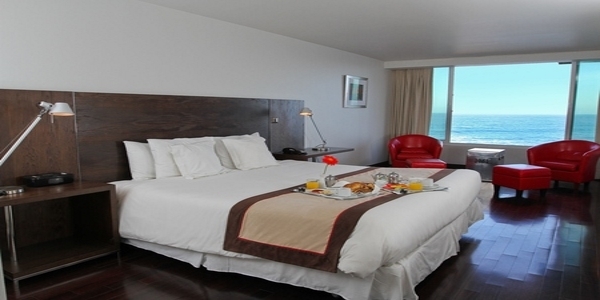 Slip effortlessly from the sand to the ski slopes with the splendid Andean Mountain Range in your sights. The Ritz-Carlton, Santiago 5-star hotel is the perfect venue to take in the history and admire the natural beauty of this geographically gifted place. The Ritz Carlton, Santiago is strategically located in the capital’s most prestigious and refined neighborhood, El Golf. The 205-room hotel is just 30 minutes from Santiago International Airport and within walking distance to exclusive boutiques and restaurants. 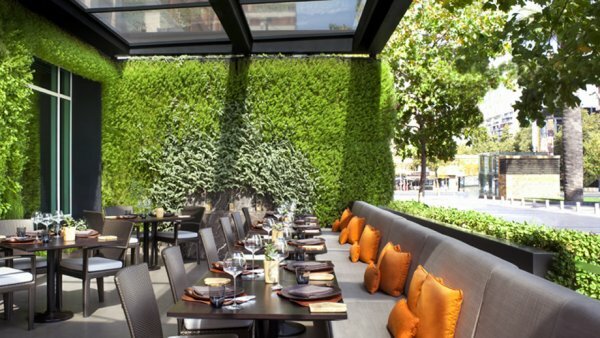 The hotel offers a Mediteranean Restaurant And Wine Bar Featuring Chile Best Products. 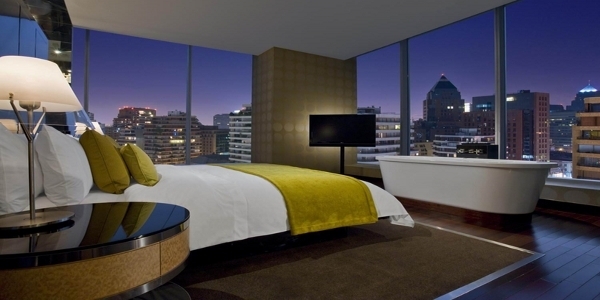 The Health Club Features Spectacular Views Of The Andes Mountains And City Center. 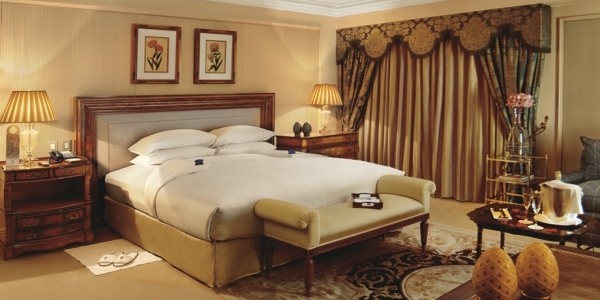 Rooms Feature Rich Combination Of Earth Tones And Gold In A Classic Decor Style. Besides good business, the capital city promises entertainment, pleasure and excitement for fans of outdoor activities such as skiing, surfing or trekking among the Andes Mountains. 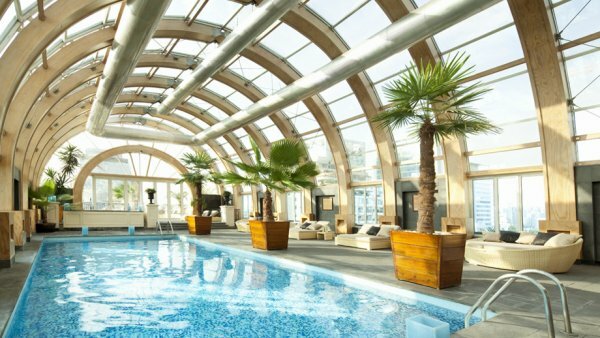 A 690-square foot rooftop health club welcomes guests under a glass cupola that offers a magnificent view of the Andes Mountains and the city of Santiago. 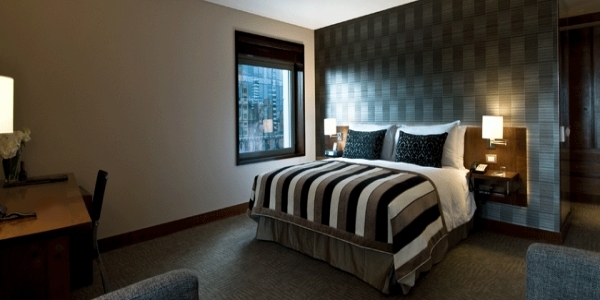 The emphasis is on luxury, pleasure and rejuvenation in this relaxing environment. 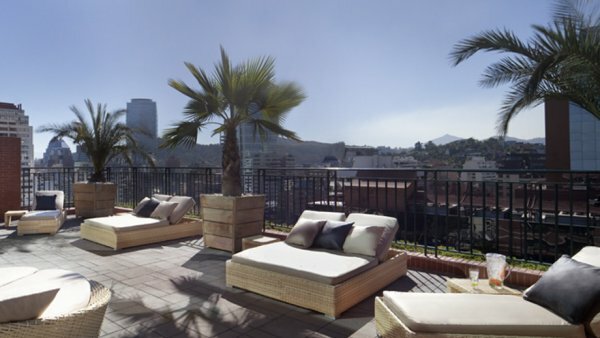 Let us carry you to an earthly paradise, a peaceful retreat high above the bustle of Santiago that offers a full selection of experiences to restore your inner balance while enhancing your outer beauty. 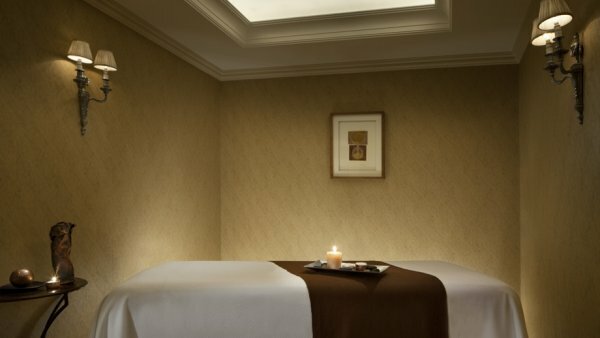 In addition to sports equipment, there are spa treatment rooms for massages and special beauty treatments, a steam bath, whirlpool, sauna, indoor heated swimming pool and a sun deck on the terraced roof. 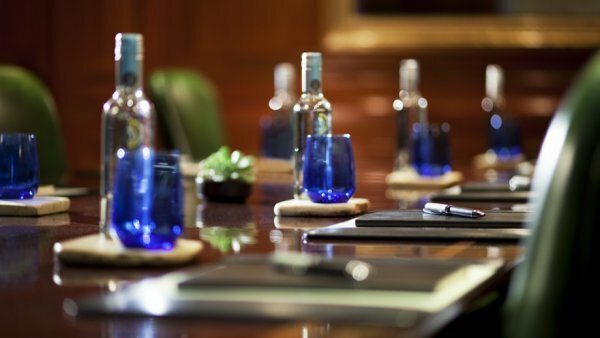 The Ritz-Carlton, Santiago business hotel specializes in pairing ideal conference venues and meeting rooms with impeccable service. 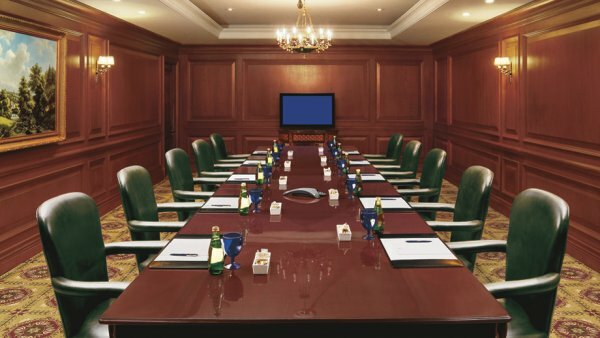 From exclusive board meetings, to product launches or corporate-wide celebrations, we ensure all of your meetings are memorably excellent. Modern and delicate banquet amenities, first-class service, an attitude of genuine care and warmth, and The Ritz-Carlton professionalism create spectacular events that exceed your standards. 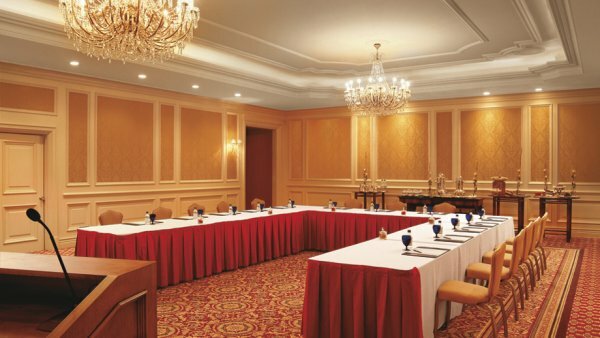 Combining tradition and metropolitan sophistication, The Ritz-Carlton, Santiago conference rooms are an ideal place to host meetings. We invite you to discover why our business hotel distinguishes itself through the magic and exquisite variety of culinary tradition and presentation. 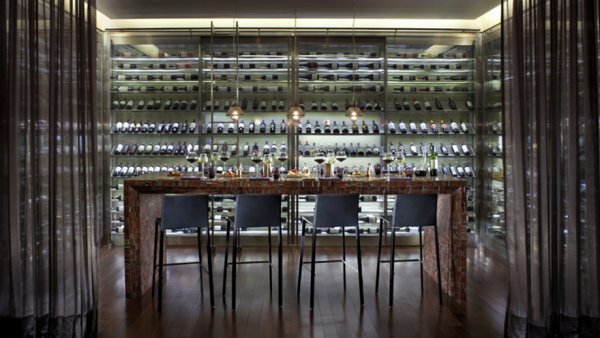 Setting new standards, the classic elegance of The Ritz-Carlton, Santiago is the perfect surrounding for outstanding cuisine and excellent wine from around Chile. 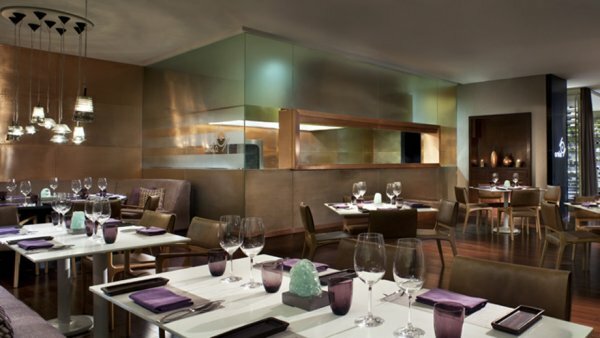 Catering at The Ritz-Carlton has captured the spirit of the best Chilean cuisine. The unforgettable wines and the special taste of fish and seafood are a treat for the senses and are sure to satisfy even the most discerning palate. 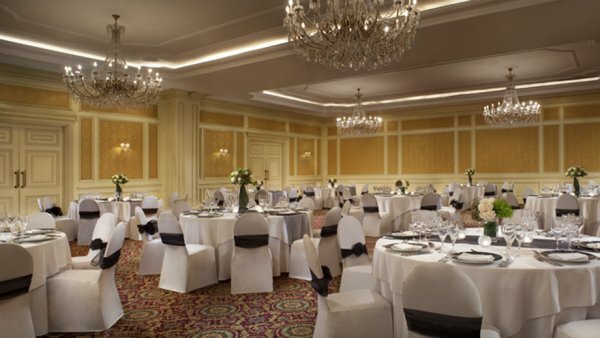 Over 9000 square feet of meeting space ranging from our Grand Ballroom with a maximum capacity of 400 persons to a luxury boardroom for 10 persons. A wedding at The Ritz-Carlton, Santiago, Chile, sets a new standard in romantic elegance. 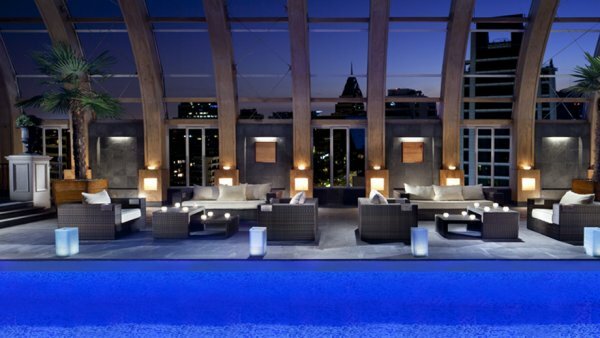 From bridal showers at afternoon tea to martini nights for bachelor parties, we offer the most comprehensive services at our stylish wedding venues and specialize in creating uniquely perfect wedding experiences. Experienced professionals work together to create an unforgettable celebration, whether you are considering an intimate wedding or a gala dinner up to 280 people. Our wedding venues combine sophistication and luxury in a residential setting featuring crystal chandleries and beautiful furniture. Together with the expertise of our Social Catering Manager, The Ritz-Carlton, Santiago boasts the most romantic wedding venues in Chile with all the glamour befitting the most important day of your life. 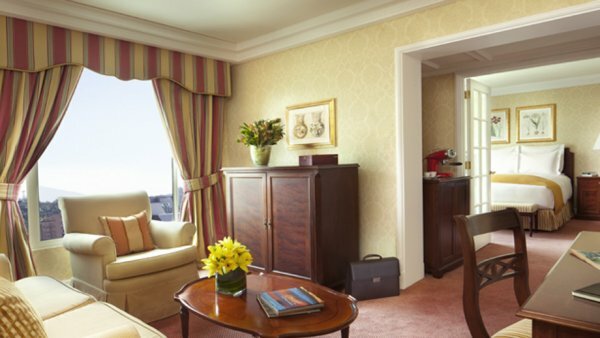 Surround yourself in luxury at The Ritz-Carlton, Santiago suites. 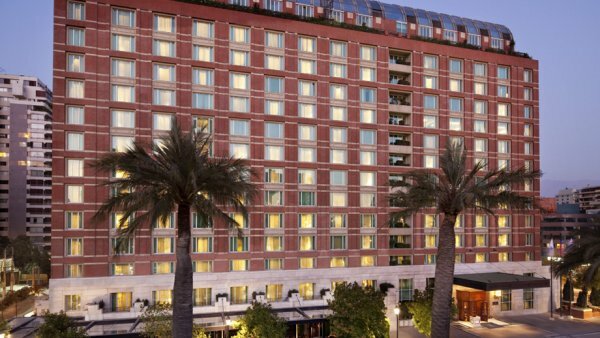 Featuring plush bedding, dazzling views and an exceptional array of amenities, our unrivaled hotel suites offer a relaxing haven in the heart of El Golf, the city’s most prestigious neighborhood. Guests at our pristine hotel will enjoy stylish accommodations with classic décor, king-sized beds, high-speed Internet and 24-hour in-room dining. 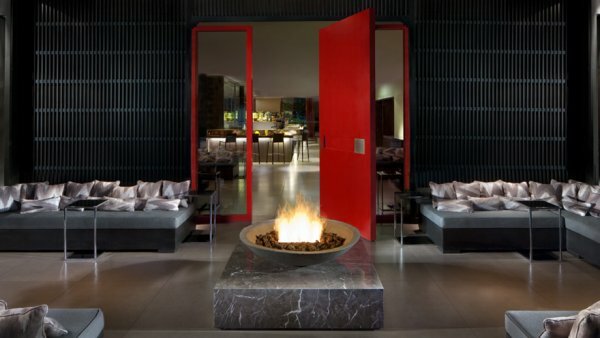 You’ll also be treated to delectable regional dishes featuring the finest recipes and wine from Chile at our five on-site restaurants and rejuvenating treatments for body and soul, including our signature hot stone massage, at our day spa. 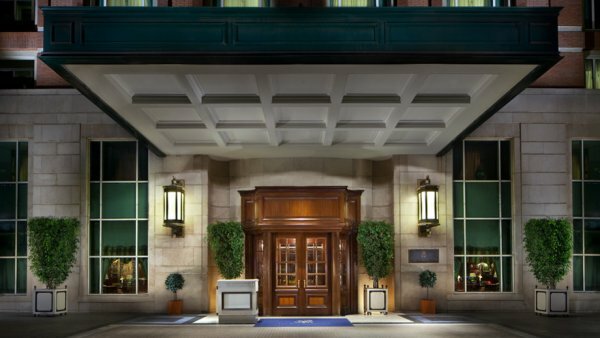 The Ritz-Carlton Club® Level redefines the luxury hotel experience, combining intimacy, comfort and exclusivity with the personalized service and attention to detail that are the hallmarks of The Ritz-Carlton. This oasis is often referred to as a hotel within a hotel, where a dedicated concierge attends to individual needs in a well-appointed, relaxed lounge environment. 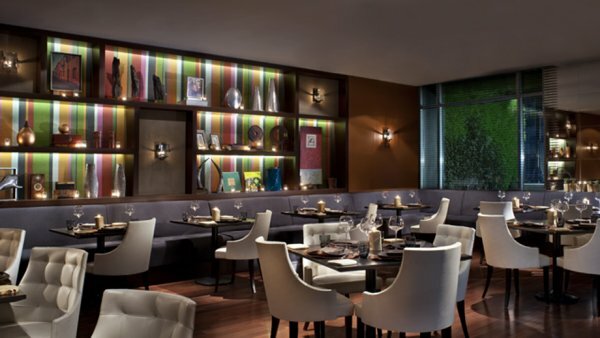 With continuous culinary offerings throughout the day (breakfast, light snacks, hors d’ oeuvres, beverages and sweets) and access to a computer station – it is the ideal place to conduct business, plan a family outing or simply unwind. 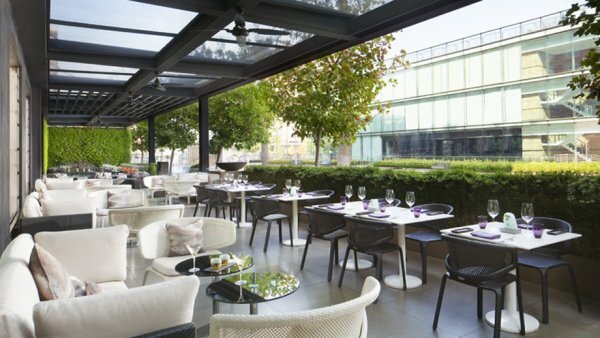 Innovative, authentic and provoking tapas cuisine with a contemporary approach, the outside Terrace with resident DJ provides vibrant and stimulating environment for dining or cocktails. Rugged mountains, pristine sea and fertile vineyards, the rawness and fragility of the area is expressed through food and wine, the approach is to portray its restrained sophistication to present a cuisine with no frontiers. 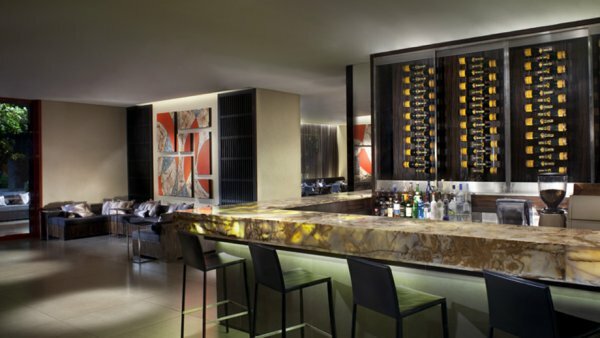 Featuring premium cocktails, fine wines, champagne, and an exclusive pisco menu, accompanied by the best cigar selection in town kept in our walking-humidor makes the trick to accomplish the ultimate bar atmosphere. 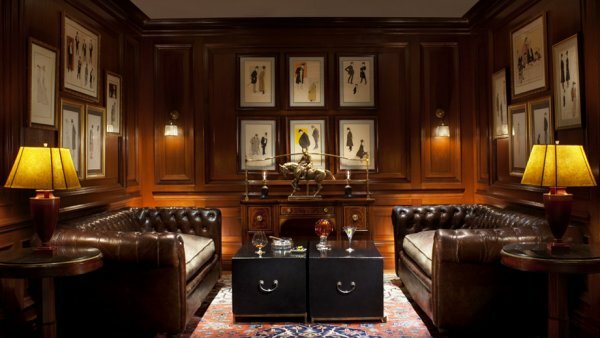 The Ritz-Carlton Bar features an expertly, creative tapas selection entertained by sophisticated live jazz. 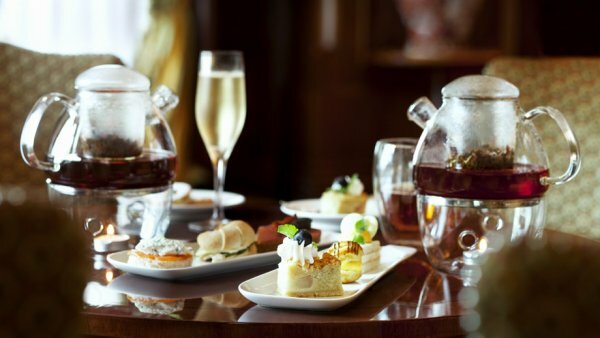 Live Jazz on Wednesday through & Friday until 11 p.m.
Partake in our signature Afternoon Tea experience or sip cappuccinos and linger over light meals. Served every afternoon between 5 p.m. and 8 p.m.